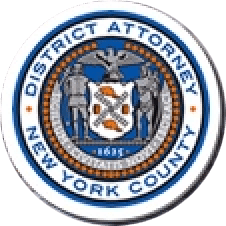 Manhattan District Attorney Cyrus R. Vance, Jr., today announced the trial conviction of EUGENE MILLER, 33, for fatally shooting his ex-girlfriend, 30-year-old Rosetta Ewell, in the hallway outside of their child’s Harlem daycare center in July 2015. The defendant was convicted by a New York State Supreme Court jury of the sole count against him, Murder in the Second Degree. MILLER is expected to be sentenced on June 28, 2017. “Eugene Miller senselessly murdered his ex-girlfriend just steps from the daycare facility where their child was enrolled,” said District Attorney Vance. “The daycare staff and children, including the defendant’s own child, were so close to the crime scene that they heard the shots. This gruesome shooting left three young children without their mother. I know this conviction cannot heal the wounds left by Rosie Ewell’s tragic death, but I hope it provides a sense of closure for her loved ones. As proven at trial, beginning at approximately 8:00 a.m. on July 24, 2015, MILLER hid in the staircase of the West 139th Street building where he knew Ms. Ewell, his ex-girlfriend with whom he had two children in common, would soon be arriving to drop off their two-year-old daughter. Ms. Ewell arrived approximately an hour later, and dropped off their child. As she approached the elevator, the defendant emerged from the staircase, confronted the victim, and shot her twice in the face and once in her head. MILLER fled, and was apprehended in October 2015 by members of the NYPD’s Manhattan Warrants Squad. Assistant District Attorneys Dafna Yoran, Senior Trial Counsel, and Jennifer Sigall handled the prosecution of the case, under the supervision of Assistant District Attorney Al Peterson, Chief of Trial Bureau 70, and Executive Assistant District Attorney John Irwin, Chief of the Trial Division. District Attorney Vance thanked the 32nd Precinct Detective Squad for its assistance with the investigation.